An artist in any field walks a fine line between stagnation and experimentation. Experiment too much, and your fans berate you for selling out or betraying your roots. Stay the same for too long and you get stale. It seems the hard rock band Red is at a similar crossroads now that their third album, Until We Have Faces, largely continues the successful formula of its first two releases. Grungy in places and melodic in others, there is little on this new album that distinguishes it from End of Silence or Innocence and Instinct, the debut album and its successor that catapulted Red to preeminence in the Christian rock scene. And that’s both a blessing and a curse. On the one hand, the formula obviously works for the band; the album is very good, and fans of Red’s work thus far will not be disappointed. On the other hand, if you’re looking for evidence of musical growth, increasing lyrical maturity or even old-fashioned experimentation as the band approaches veteran status, you won’t find it here. There is some evidence that Red perhaps sees the need to branch out from its comfort zone. The opening track, “Feed the Machine,” is crunchy, heavier than any song Red has released to date with a sound reminiscent of Chevelle, another hard rock band with Christian roots that surged to popularity nearly a decade ago. It also varies from the usual Red trademark of soaring strings providing the framework for the heavy riffs – though they do make a slight appearance. But immediately following that promising opener, Red returns to more comfortable fare. 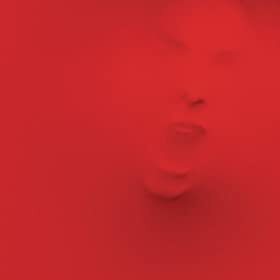 The radio single “Faceless” is alternately melodic and heavy, perhaps a bit heavier than a typical Red radio hit (but there is a radio alternate for the Air1 crowd), but complete with backing strings and vocalist Michael Barnes’ trademark screaming over the bridge. It’s a great, thoroughly enjoyable song, and combined with the opener sets the album up nicely. But there’s nothing much in the rest of the album to get excited about. With the exception of “The Outside” and “Who We Are,” which bring some new elements to the table, the other seven songs all could have appeared on the first two albums. Some of those songs – like “Let it Burn” and “Buried Beneath” – are excellent additions to the Red collection. Others – like “Lie to Me (Denial)” and “Best Is Yet to Come” – feel like retreads. Lyrically, the story is much the same. Red has always superbly captured the hopelessness of the sinner, and this is no exception. From “Breathe into Me” to “Confession (What’s Inside My Head),” the band’s members have well chronicled – and chronicled well – the theme of brokenness turned to redemption. “Buried Beneath” and “Faceless” are excellent successors to that line of writing. Other songs, however, betray a bit of cliché. “Feed the Machine” and “Watch You Crawl” rely on standard rock villains – conformity and apathy in the former, the anonymous antagonist in the other. It works better in “Feed the Machine,” but the message in “Watch You Crawl” seems to be antithetical to the band’s message in “Buried Beneath,” particularly when Barnes sings, “Drown in despair, now nothing can save you.” Really? Nothing? Finally, there’s the typical Christian rock ambiguity – what has often derisively been called the Jesus love song. There’s certainly a place for these, and they can be done well. Ambiguity also can be a lyricist’s friend, deepening the tension of a song or allowing it to reach another artistic level. A good example from this album is “Let it Burn,” a powerful ballad of lament that begins, “I watched this city burn,” and goes on to ask an unknown audience why he or she is hiding their face. It could be addressing God; it could apply to any number of earthly situations. The ambiguity works here. But it’s less effective than it could have been because the same structure is used on the previous song, “Lie to Me (Denial), as well as several other tracks on the album. In general, the radio-friendly “you” to refer to all manner of relationships has become incredibly overused in modern Christian rock; I have faith that the obviously talented lyric writers in bands such as Red can do better. And I have faith that Red, an incredibly enjoyable rock band, also can do better. It has now produced essentially a 30-track, three-part album – an exceptional body of work for this young group. But the time has come to move forward, to walk that fine line by growing beyond the themes the band has developed so well – without forgetting them.